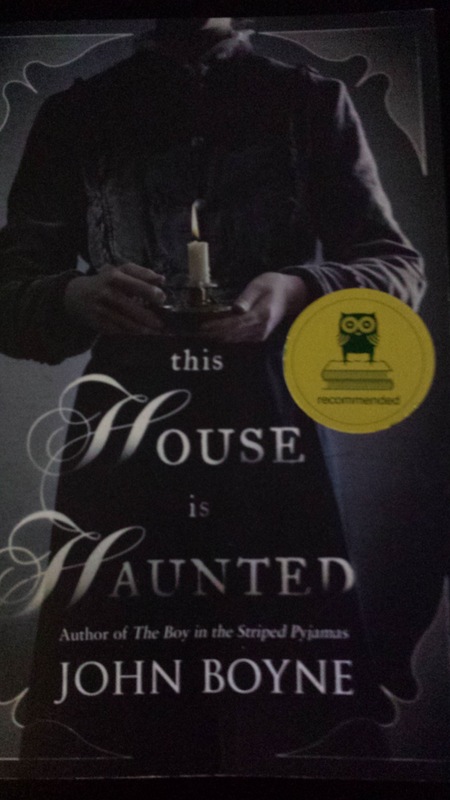 This House is Haunted by John Boyne – A Discussion! Who wouldn’t want to read on after that? John Boyne tells his ghost story superbly. He introduces the main character, Eliza Caine with enough background information to interest the reader but not bore them with unnecessary details. Eliza’s father passes away and she is left alone in the world. She leaves her position as a school teacher to begin afresh as a governess at Gaudlin Hall. As soon as she reaches the platform near death experiences begin to follow her. This is when the ghostly part of the story begins. I do not want to spoil the plot for any future readers but I will say that there were some parts of the story that gave me chills, the reason behind the haunting is plausible and the ending was satisfyingly eerie. I really enjoyed reading the book and have to say that it is one of the better ghost stories that have been released recently. For those of you that like to read a ghost story in the middle of the night, all alone and even though you are frightened and want to stop reading you just can’t…this list of recommendations is just for you! 5) Ring by Koji Suzuki – The movie scared me and so did the book. 4) The Ghost Writer by John Harwood – You almost forget that this is a ghost story for the first part of the book and just enjoy the interesting plot but then all of a sudden you are hit with scariness. Harwood builds the suspense perfectly. I also recommend his other ghost story The Seance. 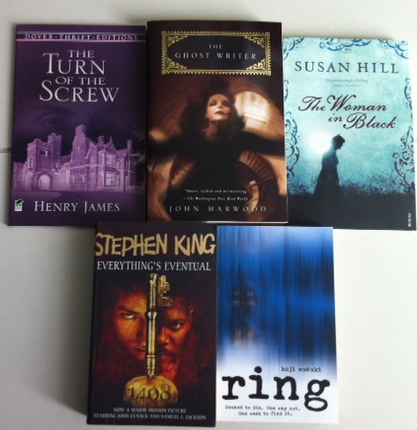 3) The Turn of the Screw by Henry James – A classic, short but creepy tale. Leaves you thinking about what happened for a while. 2) Everything’s Eventual by Stephen King – This is my favourite of Stephen King’s short story collaboration. There are some scary tales in this book. I particularly liked ‘Autopsy Room 4‘ and ‘1408’. 1) The Woman in Black by Susan Hill – I read this when I was by myself at the edge of a forest in Germany. I was so scared that I had to finish it off in the day time. Okay so it may have been the circumstances that made it so terrifying the first time but it still gives me chills each time I read it and Susan Hill is the queen of the ghost story, one of my favourite authors.